Cremona lutherie reached its peak in the history of the violin around mid of the 16th century, thanks to the skilled art of master luthier, Andrea Amati. At first a mere builder of lutes, Amati moved on to violins, introducing their production in Cremona and establishing the stylistic foundations of the instrument. Stradivari, Bergonzi, Guarneri and Ruggeri were just some of the violin maker households who created a unique production over 300 years. Antonio Stradivari, perhaps the most famous of all luthiers in Cremona, rose to a domineering role in 1680 in the production of luxury instruments. His violins became synonymous of perfection and their features a shared standard of lute-making, so much that they influenced the artistic development of nearly all violin makers. All the European courts focused their attention on Cremona: every musician aspired to have its violins. The golden age of Cremona violins gradually experienced a decline. This was chiefly attributed to the disappearance of exponents of the Amati and Stradivari households, to families of luthiers relocating to other Italian cities and, above all, to a drop in the demand for new instruments. In the second half of the 18th century, known as the “late” period in Cremona style, we witness fierce competition from other cities in the field of lute-making that brought to a lesser quality, refinement and selectivity of the materials used for production in Cremona. Among the most renowned and cherished violin makers of the “late” period are Carlo Bergonzi and Lorenzo Storioni. Exquisite artists and perhaps the sole champions of a revival of Cremona lutherie. The manufacture of class violins in Cremona ends with Giovanni Battista Ceruti, whose style was elegant and denoted a classic imprint typical of the ancient Masters. Ceruti marked the transition from the “late Cremona” period to the “modern” period at the end of the 19th century. Lutherie in Cremona loses its prominence, with the heralds of this period for the most part creating serial items, unsophisticated and lacking refinement, a distant cousin to the classic tradition that had turned them into a true form of art. 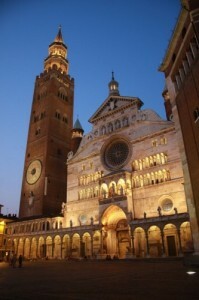 Nowadays, Cremona still hosts many luthiers who contribute to affirm it as the sole capital of the violin. An incomparable tradition which created the most important luthiers of all time.